The Palmer Memorial, at the Bembridge end of the Embankment, is in memory of the Rev James Nelson Palmer who was appointed Curate of the Yaverland parish in 1879, late becoming Rector there, and retiring to Bembridge in 1891. In his retirement, Rev. Palmer was active in the community, being a founder member of Bembridge Sailing Club (originally the IW Corinthian Sailing Club) and Bembridge Football Club. 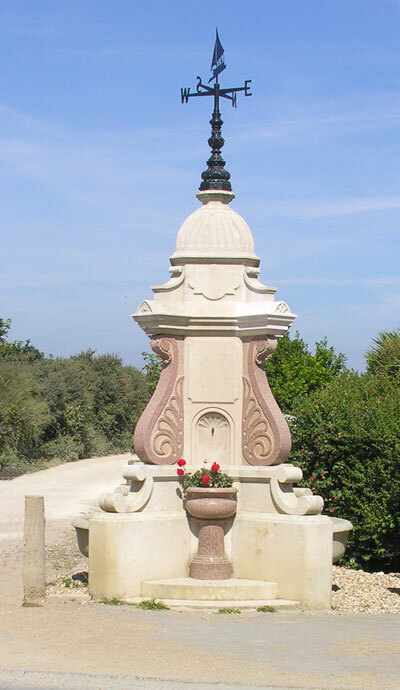 Following his death in 1908, the Palmer Memorial was erected providing both horse troughs, for the horses, and drinking fountains, for their riders. The memorial originally stood in front of the Royal Spithead Hotel (demolished 1989, site redeveloped as Solent Landing) and was unveiled by Lord Alverstone on 11 August 1910.